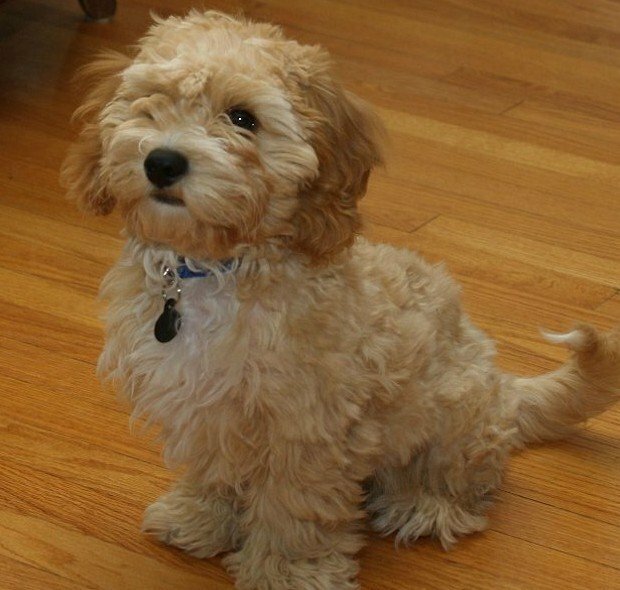 A new designer dog breed-meaning, an intentional cross between purebred breeds-has been making news lately called the cava-poo-chon -- a mix that breeders say has a "forever puppy face" that doesn't change as it grows older. The breed is the newest and latest in the decades-old search for the dog-face fountain of youth and perfect pet accessory. But the American Kennel Club does not recognize the new trend as an official breed, and one expert calls some specially bred small dogs expensive "gimmicks." The new breed is a mix between a King Charles spaniel, a bichon frise, and a miniature poodle. Created by dog breeders at Timshell Farms in Arizona, the cava-poo-chon is pricey, costing up to $3,500, depending on its parentage. But certified animal behavior consultant Darlene Arden had some reservations about breeding tiny "teacup" dogs like this -- thought she didn't condemn the cava-poo-chon explicitly. "There is no such thing as a teacup anything," Arden said. "It is a market term used by backyard breeders and commercial breeders so they can breed the smallest dogs that shouldn't be bred and sell them for a whole lot of money. These dogs usually end up having health problems and most veterinarians don't want to touch them because the organs are so small." Timshell Farms has more photos of the cava-poo-chon here.